Early business in town supported the local village populations. Businesses included a bank, post office, inn, and bazaar in addition to other services. Elijah Boltwood ran a tavern on the corner of Amity and Pleasant streets from 1806 and 1838. A tavern continued to be run on this spot until a fire destroyed it in 1926. There were two dry goods stores that each stocked fabric, hardware, flour, glassware, crockery, gloves, etc. Of the several furniture makers in town, one advertised on June 22, 1827 that “lumber of most kinds taken in exchange for furniture.” Advertisements such as this indicate that commerce was conducted along the traditional lines of barter and credit. Local farms had moved away from self-sufficiency by the 18th century and were, by this time, specializing in cash crops and products for market. 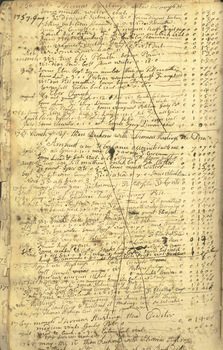 Products, some of which were acquired through local barter, were shipped out along the river and through a system of canals to mouth of the Connecticut River. In 1826, Amherst had two bookstores. One was located one door west of the Mansion House, a hotel, and another was adjacent to the newspaper, the Inquirer. The ability of a town of 2,631 to support two bookstores may be explained by the presence of a strong academic community as early as the first quarter of the 19th century. Amherst had two well respected academies and their attendant faculty by 1827. This fortunate situation led to a high concentration of academicians, students, and clergy in town. They, in turn, lured many famous lecturers, teachers, and scholars.